Women in North Korea had a beautiful 70's vibe to their looks, and cared a lot about their makeup, fashion, and presentation. This woman working at a ginseng gift shop was beautiful, and very friendly. Women in North Korea had a beautiful 70’s vibe to their looks, and cared a lot about their makeup, fashion, and presentation. 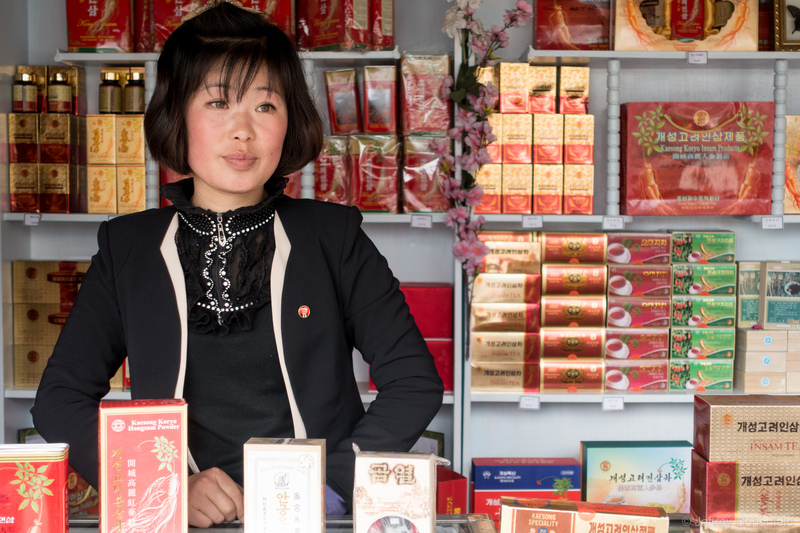 This woman working at a ginseng gift shop was beautiful, and very friendly.